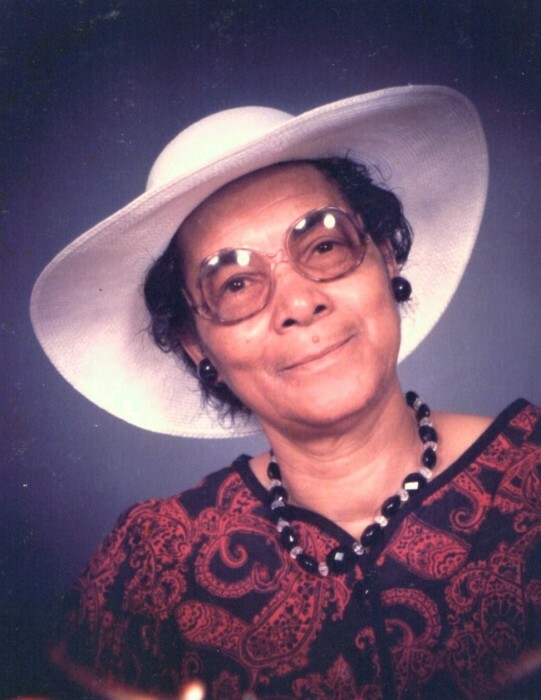 In profound sorrow, the Britt Funeral Home and Cremation Service join with the Kittrell Family to announce that Mrs. Helen Izora Murphy-Kittrell of 108 Simmons Street, La Grange, NC, at age 93, completed her earthly journey. Mother Kittrell transitioned from labor to reward on Sunday, May 20, 2018 at Wayne UNC Health Care Center in Goldsboro, NC. She was born in Craven County, NC on April 17, 1925 to the late Mr. Zeno Murphy and Mrs. Ada Greene-Murphy. She received some education in the Craven County public school system. Early in life, Helen met, dated and later married, Mr. George Kittrell, Sr. of Grifton, NC. From their union, ten (10) children were born. Sister Helen was known as a strong-willed lady, with a love for bingo and word search puzzles that kept her mind young and sharp. She was a longtime and faithful member of Rouse’s Chapel Missionary Baptist Church until her health began to decline. Mother Kittrell was preceded in death by her parents, Mr. Zeno Murphy and Mrs. Ada Greene-Murphy; her husband, Mr. George Kittrell, Sr.; her son, Zeno Kittrell; and her sister, Elizabeth Kittrell. A celebration of life service will be conducted on Friday, May 25, 2018, at 1:00 p.m. at the Rouse’s Chapel Missionary Baptist Church, 4813 Rouse Chapel Road, La Grange, NC. Dr. Carrie M. Carter will officiate. Interment will be held in the Fairview Memorial Park Cemetery, 195 West James Street, La Grange, NC, 28551. In addition, a public viewing will be held on Thursday, May 24, 2018 from 3:00 p.m. to 7:00 p.m. in the Britt Funeral Home Memorial Chapel, 414 East Washington Street, La Grange, NC, 28551. The family will be present from 6:00 p.m. to 7:00 p.m. to receive other family members and friends. Mother Kittrell leaves to cherish her loving and precious memories to her nine remaining children: her daughters, Beverly Brown of Wilson, NC, Betty Kittrell of La Grange, NC, Faye Brown and husband, Charles of Browntown, NC, Liz Kittrell of La Grange, NC, Helen Kittrell of Camden, NJ, and Zennie Kittrell of La Grange, NC; her sons, George Kittrell, Jr. and wife, Mary of Kinston, NC, Willie Kittrell of Baltimore, Maryland, and Timmy Kittrell of La Grange, NC; her 26 grandchildren; her 51 great-grandchildren; her 11 great-great-grandchildren; her nieces, Ada Mae Kittrell and Wilhemenia Walker; her daughter-in-law, Debra Kittrell; her sister-in-law, Agatha Kittrell; and a host of nieces, nephews, cousins, other relatives and friends. On Friday, May 25, 2018, the family members and friends will assemble at 11:45 a.m. at the residence of Mother Helen Kittrell, 108 Simmons Street, La Grange, NC, in preparation for the funeral procession. Flowers may be sent to Britt Funeral Home and Cremation Service, 414 East Washington Street, La Grange, NC, beginning on Thursday, May 24, 2018 from 10:00 a.m. to 4:00 p.m.